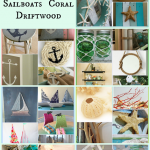 One of the main trends in nautical decor is rope – from sisal to twine and just about everything in between. 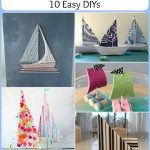 Here’s ten nautical DIYs using rope from some of my favorite creative bloggers! 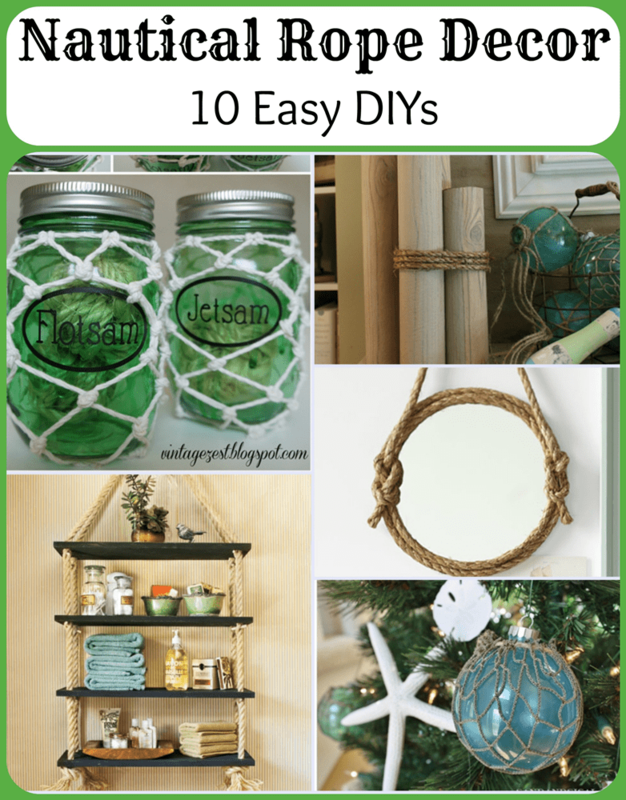 If you shop in any of the home decor stores this season, you’ll see rope used as an accent on coastal decor-themed products and you’ll also see rope used as primary material in select pieces too. You can make the same items you’ve seen in the stores! 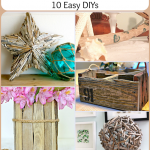 So start creating with these 10 DIY tutorials! Make your own pretty glass float ornaments and enjoy them year-round, whether hung on your Christmas tree, displayed on your mantel, or gathered together in a decorative bowl! 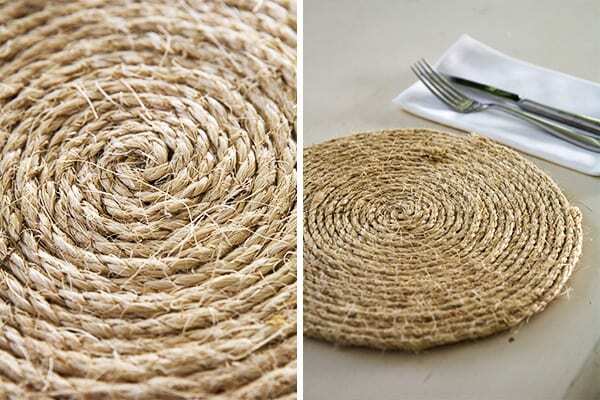 These rope table mats are an easy way to add some natural elements to your nautical decor. 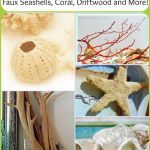 You can use them as placemats, underneath flowerpots and vases, or as the base for a collection of sea glass! I love how rope knobs and drawer pulls can add so much to a cabinet. A small update with big impact! Another quick and easy update? These slipknot rope napkin rings! 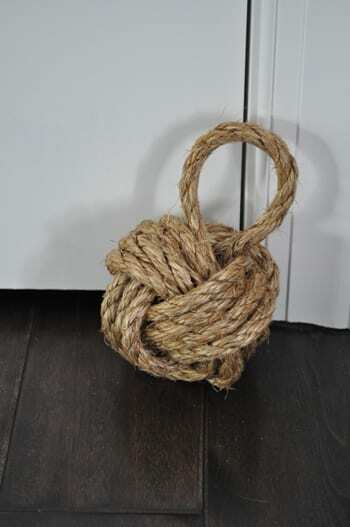 I want to make my own rope doorstop like I’ve seen in catalogs, stores and all over Pinterest, and here’s the perfect tutorial! 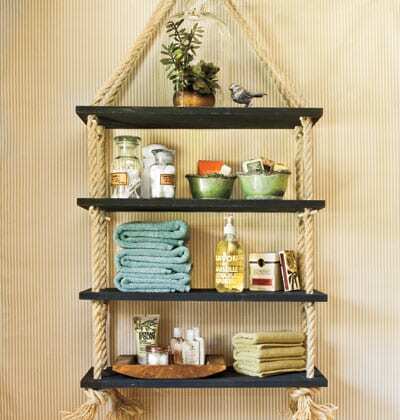 Navy wood and rope shelves? Love! 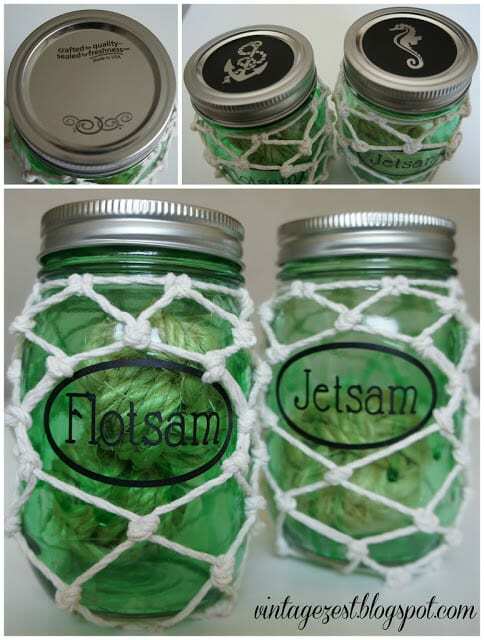 I adore everything about these nautical-inspired jars – the motifs on the lids, the fun labels and the rope tied around them! 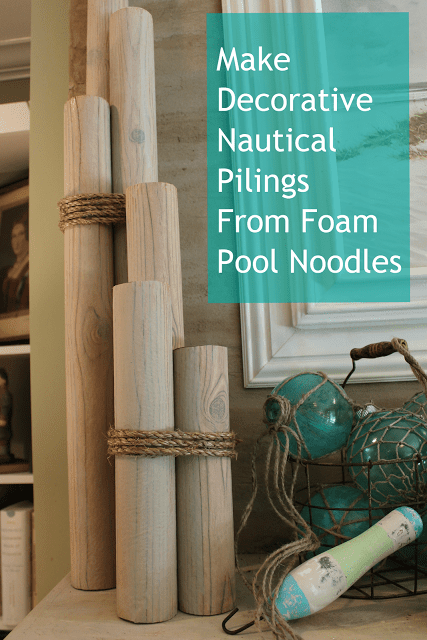 I still can’t believe these wooden pilings are actually made from pool noodles! 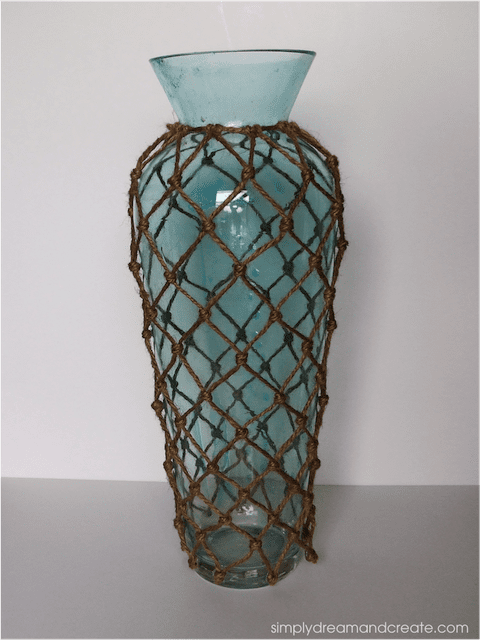 This gorgeous nautical-themed vase started out as a simple clear glass vase! 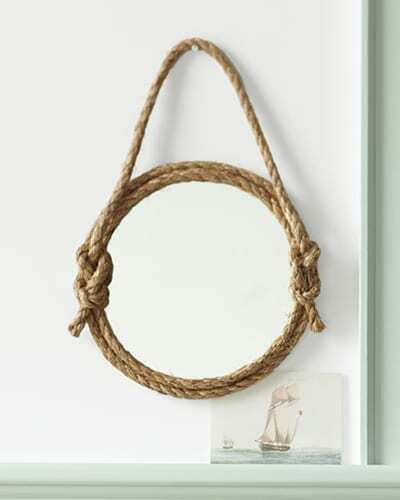 Rope mirrors are very popular right now, and fit into several design trends! Love all of these ideas!!!! Our neighbor just recovered a lampshade with nautical rope! Glad you enjoyed them, Bethany! Love this, Laura! I’m featuring on my fb page tomorrow. Have a great 4th! Thanks so much Marty! I really appreciate you sharing it! Happy 4th! wow, this is an awesome collection! I opened almost all of them in new windows! I love authentic looking natuical stuff. and Lord knows I have a HUGE roll of jute I have been looking for an excuse to use! So thanks! You’re most welcome, Bethany! 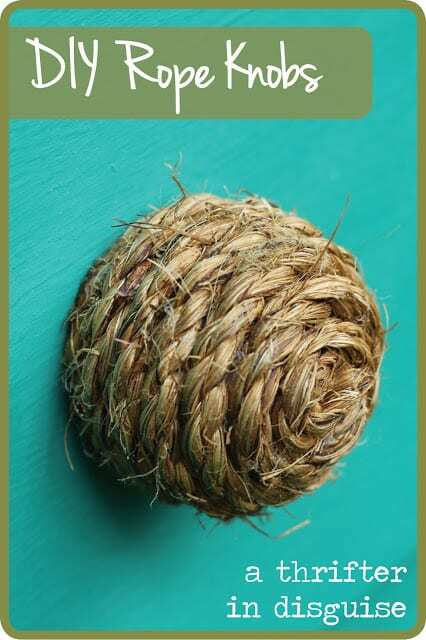 Definitely let me know if you make anything with that roll of jute – I’d love to share it! 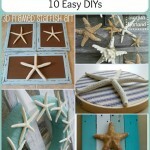 Thanks so much for featuring the faux nautical pilings that I made last year! I haven’t had much time for blogging and crafting this year so it is nice to see a project from the past brought to light again. I’m honored! Your projects are so wonderful, and I still can’t get over that these pilings are not real! 🙂 Thank YOU for creating them and sharing the tutorial! 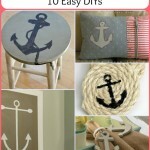 I love anything nautical! Great round up Laura. Hope you had a great 4th. Thanks so much, Malia! Happy 4th to you as well! 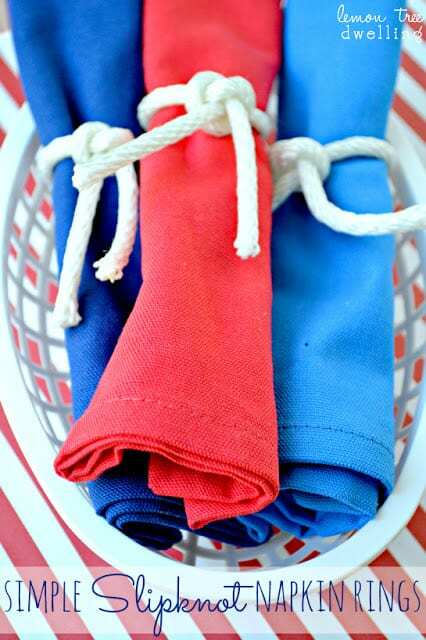 I love the look of anything with nautical rope, and it fits right in around here! 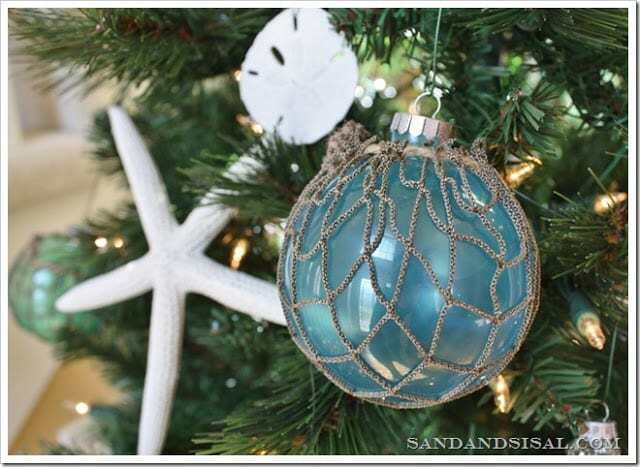 I have a big fat jar with some nautical rope wrapping on my summer mantels, and it’s filled with sea glass. That bathroom shelf is awesome!